Every Newborn is a joint action platform for the reduction of preventable newborn deaths and stillbirths. Every Newborn aims to support countries in ending preventable newborn deaths and stillbirths in support of Every Women Every Child. 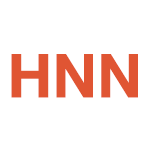 The EveryNewborn.org webpage has merged with HNN in order to streamline knowledge management – please find more details about Every Newborn below and in the related events, blogs and resources below. Newborn deaths account for 47% of deaths among children under the age of five globally, resulting in 2.5 million lives lost each year. 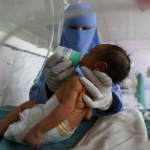 In addition, 2.6 million babies die in the last 3 months of pregnancy or during childbirth (stillbirths) and 303,000 maternal deaths occur each year. We have the knowledge and tools to prevent at least two-thirds of these deaths. 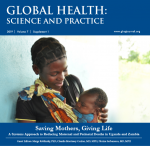 The global Every Newborn Action Plan (ENAP), launched in 2014, provides a road map of strategic actions for ending preventable newborn mortality and stillbirth and contributing to reducing maternal mortality and morbidity. 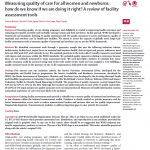 The Every Newborn Action Plan presents evidence-based solutions to prevent newborn deaths and stillbirths. It sets out a clear path to 2020 with specific global and national milestones. The plan was based on evidence presented in The Lancet Every Newborn series, and developed within the Every Woman Every Child framework. In 2014, 194 member states of the Sixty-seventh World Health Assembly endorsed the action plan (Resolution WHA 67.10). Led by UNICEF and the World Health Organization, ENAP was guided by the advice of experts and partners and by multistakeholder consultations and a web-based consultation with over 300 comments from stakeholders. The WHO Director-General has been requested to monitor progress towards the achievement of the global goal and targets, reporting periodically to the World Health Assembly until 2030. The Every Newborn partnership enhances and supports coordinated, comprehensive planning and implementation of newborn-specific actions. These efforts have been coordinated by a management team with focused work streams: metrics, country implementation and advocacy. Other related partnerships have formed in support of Every Women Every Children including the Quality of Care Network, Partnership to Prevent Preterm Birth, Breastfeeding Advocacy Initiative, and others. 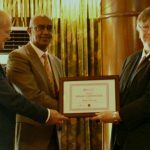 Success of ENAP will come through links with global and national plans, measurement structures and accountability. By 2017, global agencies have set targets based on the shared goal to end preventable child and maternal deaths by 2030 including the Sustainable Development Goals and the Global Strategy for Women’s, Children’s, and Adolescents’ Health. 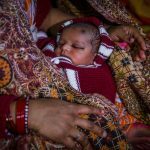 By 2017, at least 48 countries have established national newborn plans or integrated newborn content into their national health plans. 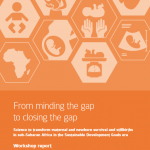 As of 2016, over 50 countries had completed the Every Newborn tracking tool to facilitate country support in assessing progress, barriers, and resourcing technical assistance for newborn health in line with recommendations.